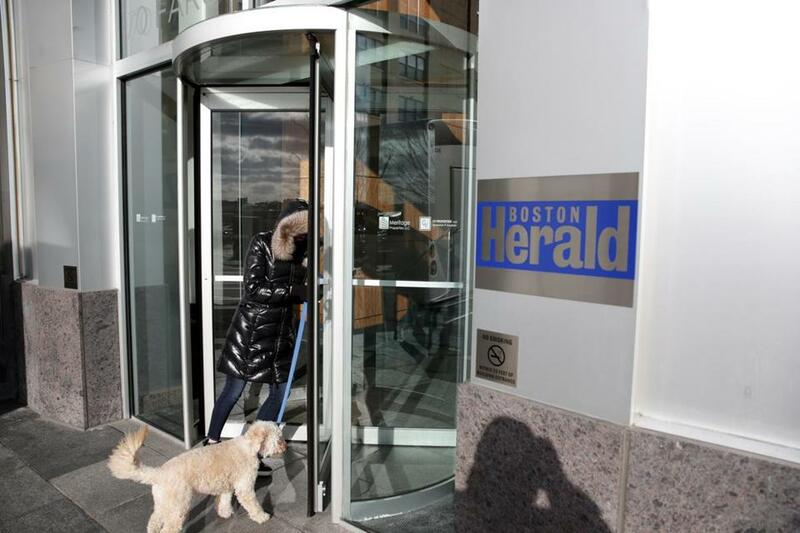 The Herald will be leaving its offices in the Seaport for space in Braintree. The Boston Herald’s journalists knew they were in for a rough ride when renowned cost-cutter Digital First Media acquired the paper in March. But not this rough. DFM offered jobs to 175 employees initially, down from 240 in December. That part was well telegraphed during the Herald’s bankruptcy process. However, the cuts continued, either by layoff or attrition: By the start of September, the newspaper’s staff had shrunk to roughly half of its size at the end of last year. The hammer fell again on Thursday, with another 14 employees informed they would lose their jobs. Donna Marks, local president of the union that represents most of the affected employees, said a few were told to go immediately, and the rest will leave in two waves by December. She said most were in the newsroom: two photographers, a Web employee, editor-in-chief Joe Sciacca’s assistant, and six copy editors. Four people from the ad department are also being let go. Roughly 100 workers will remain, she said, after the dust settles. The company’s top Boston-area managers — Sciacca and publisher Kevin Corrado — would probably say these cuts are about ensuring the Herald’s long-term survival. (It’s hard to know for sure, because neither returned calls seeking comment.) Yes, another painful downturn in print ad sales is sweeping across the industry, and nearly everyone is scrambling to control costs, including the Globe. Print circulation is also dwindling as readership moves online: The Herald, for example, sells only about 40,000 copies a day now, according to Alliance for Audited Media data. DFM’s charge, though, isn’t just to break even. It’s owned by a hedge fund, Alden Global Capital, known for extracting hefty profits from its newspaper holdings. Media analyst Ken Doctor obtained a document that showed DFM reported a 17-percent operating margin for its papers last year, after waves of cutbacks. Not bad in the good old days, before Craigslist, Facebook, and Google. But that kind of profit shoots the lights out today. More local papers could be next. DFM is rumored to be checking out CNHI, a multistate chain that includes four dailies north of Boston. Maybe we will see another showdown with GateHouse Media. GateHouse was in line to take over the Herald. But then DFM swooped in and outbid GateHouse with a nearly $12 million offer. Still, the Herald endures: Boston remains better off than most US cities with two dailies still dueling for attention — even if one technically will be on the South Shore.